Plato Dale Farm raises grassfed Jersey steers for beef. 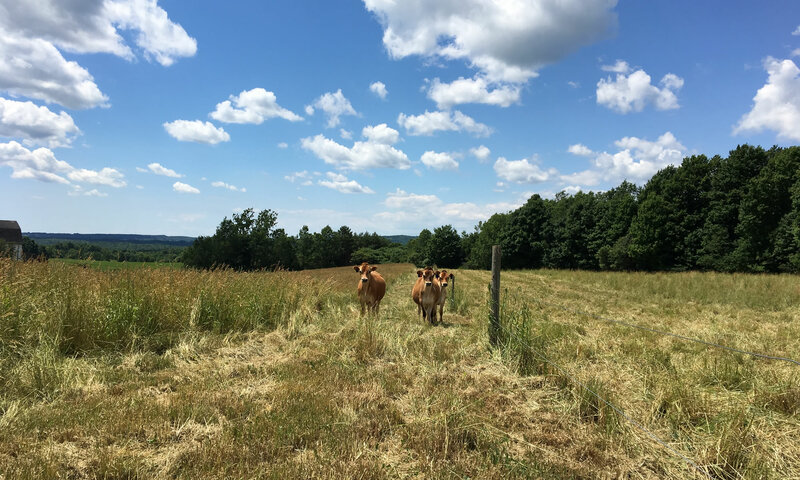 In the summer, our steers and calves are on pasture. In the winter, they have access to the barn, a composting bedded pack, good quality hay and a salt lick. We love our animals and they are cared for the best we know how. Very high quality grass pasture and grass baleage yields the best quality meats. Cows are made for grass! Plato Dale Farm’s Grassfed meats are tender, juicy and FLAVORFUL!! There is nothing like our Grassfed Jersey Beef!! All content property of Plato Dale Farm. 5249 Curriers Road, Arcade, NY 14009.